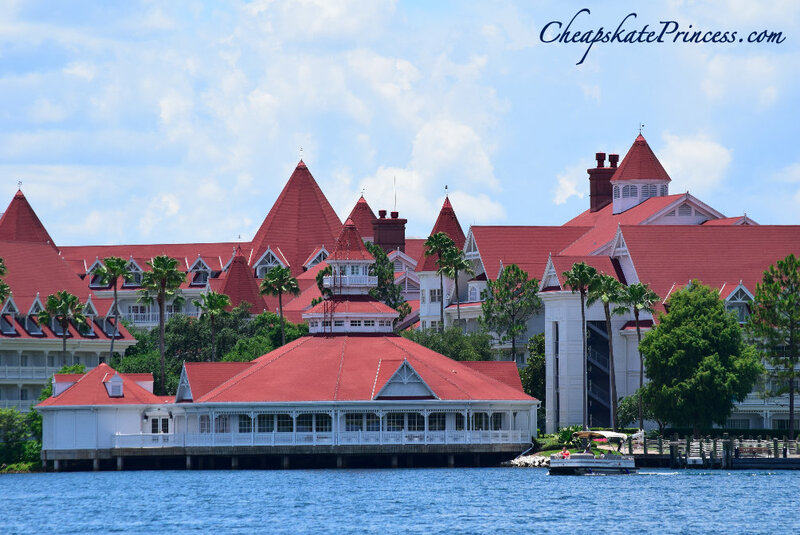 Often referred to as the “flagship” hotel of the Walt Disney World resort hotels, the Grand Floridian Resort sets the Princess bar high in terms of everything: world-class dining, entertainment and luxurious accommodations. 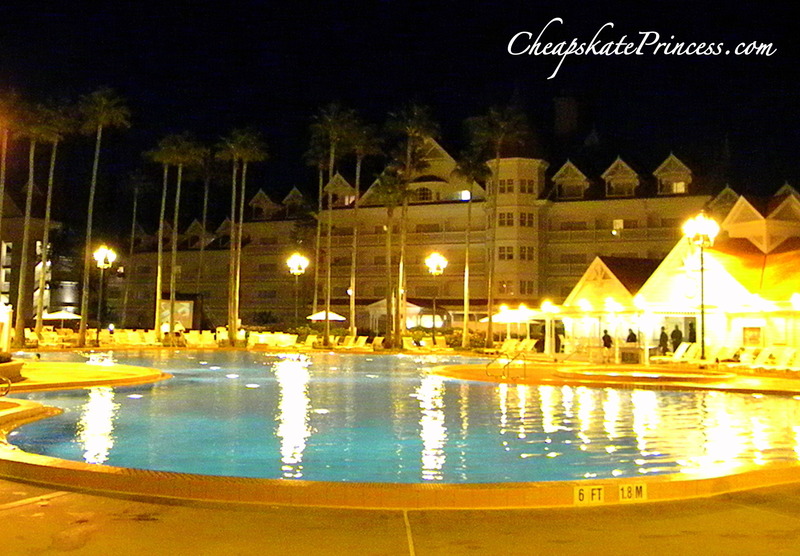 You will pay a pretty penny to stay here any time of the year, but to spend the night during the Christmas holidays may just wipe out your Disney change jar! 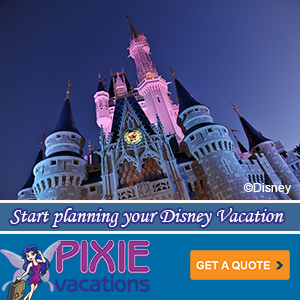 The “Holiday Season” pricing at Disney runs from December 21 to December 31 of this year. The level of your room cost goes up with your level of accommodations. Without any sort of discount during Holiday Season, a standard room at Disney’s All-Star Value Resorts will cost you $164. A standard room Moderate Resort level Coronado Springs Resort is $249, while a standard room at the Deluxe Resort level Animal Kingdom Lodge is $470 a night for holiday season. 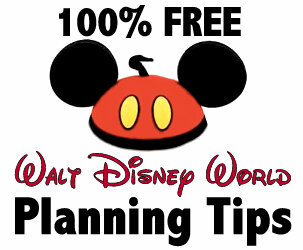 Maybe that will prepare you for the Grand Floridian Resort and Spa pricing, sort of like a mental warm up! 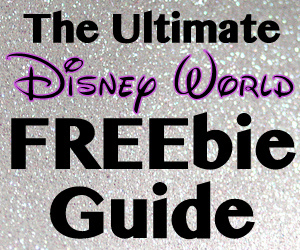 What Is The Ultimate Disney World Souvenir? The Mickey Mouse Doll! A room in the Outer Building with a Garden View is $460 a night on a weekday in Value Season, is $730. A room in the Outer Building with a Lagoon View is $830 a night. In the Outer Building – Club Level, you will pay $905 a night during Holiday Season. What’s so great about Club Level? 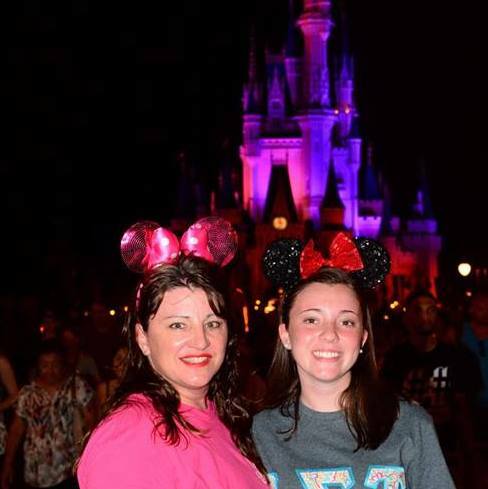 For a Theme Park View in the Main Building – Club Level, you will pay $1,190 per night. For a One Bedroom Suite in the Outer Building– Club Level, you will pay $1770 per night. Move over to the Main Building for this same one bedroom suite on Club Level, and you will pay $2020 per night. The suites can sleep up to six. But maybe you brought eight people to Disney. What you need is a Two Bedroom Suite in the Outer Building – Club Level, which will cost $2525 to $2825 depending on your particular view. Or maybe your family of four needs more space to stretch out. The Disney Suite Main Building – Club Level, which includes a master bedroom with a king-size bed and full bath, a second bedroom with 2 twin-size beds and full bath, a parlor area with half bath and a wet bar, will cost $3105 per night. And if you need the exclusivity of the most expensive accommodations in the building, welcome to the Grand Suite in the Main Building – Club Level. 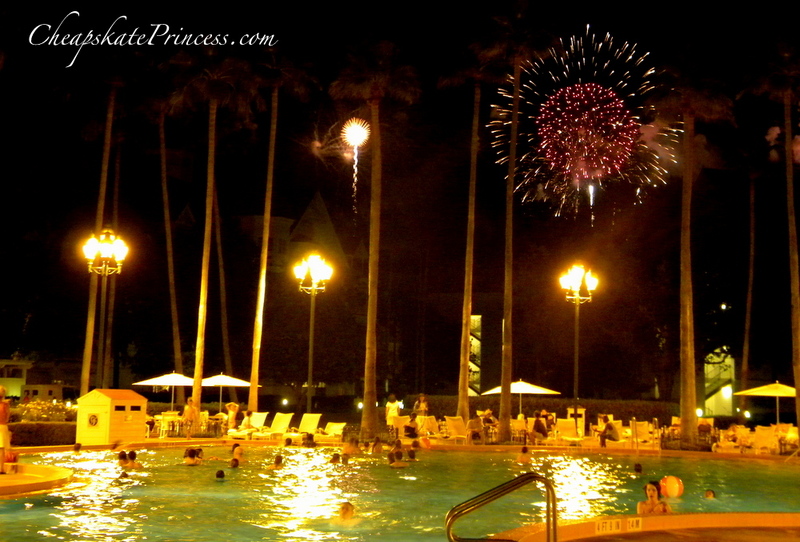 Located in the Main Building in the Royal Palm Club, this suite offers the same accommodations as the Disney Suite listed above, but offers views of Disney’s Magic Kingdom theme park and a panoramic view of the Resort hotel property. 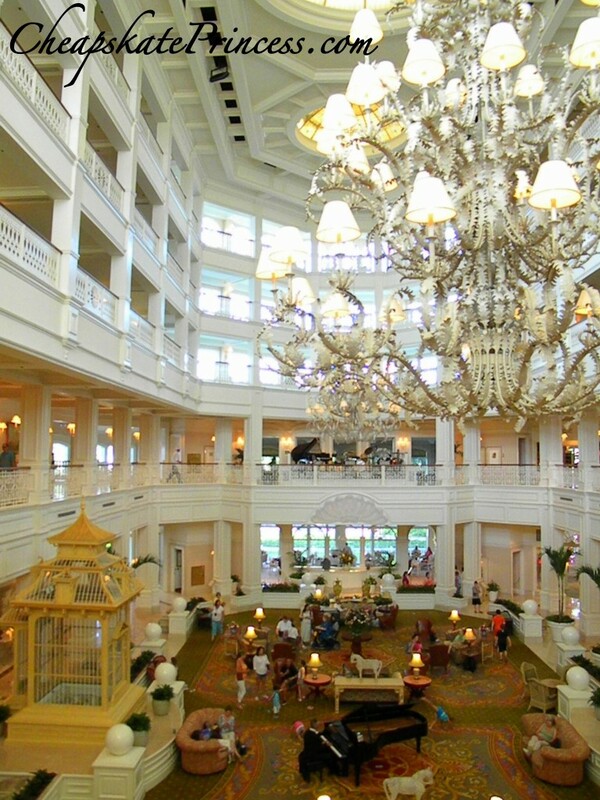 Welcome to Disney luxury, pals, and be prepared to spend $3210 per night. Of course you don’t have to stay during those Holiday Season days to enjoy the sights of the seasons, as holiday decorations start appearing throughout the parks by the first weekend in November and stay into the early part of January. And you always have the option to stay off property in less expensive hotel. 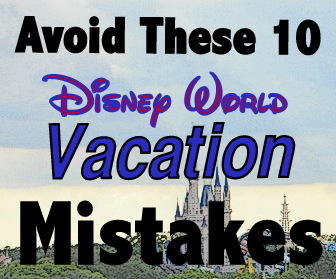 But for you to enjoy the holiday decorations during “Christmas” staying on property at a Disney Resort, it’s going to cost you more money than other times of year. 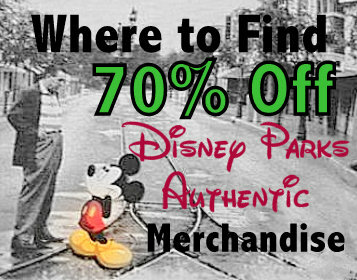 That’s what a Cheapskate Princess calls a Disney Splurge. 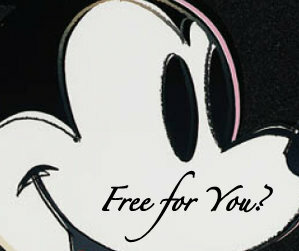 Like fun Disney trivia? 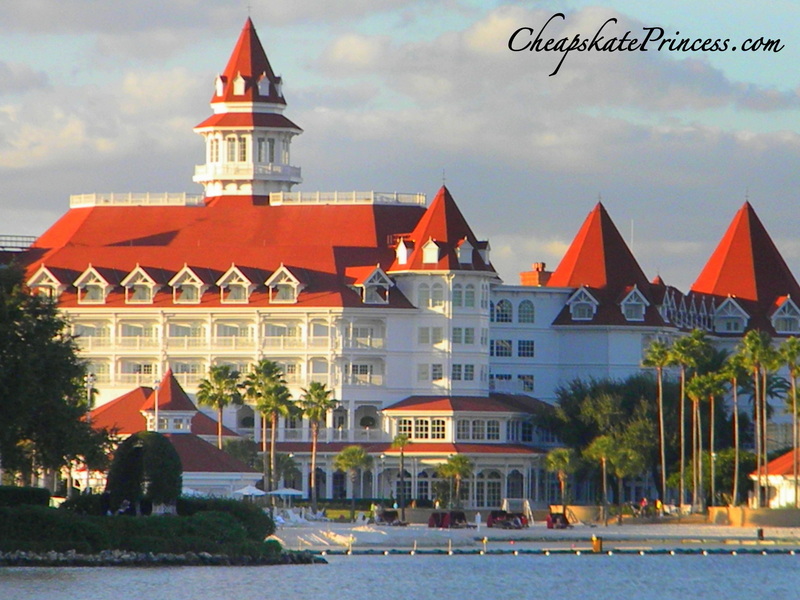 Here are some fun holiday facts on the Grand Floridian’s Christmas decorations from one of my favorite Disney sites, Disney by the Numb3rs.com. 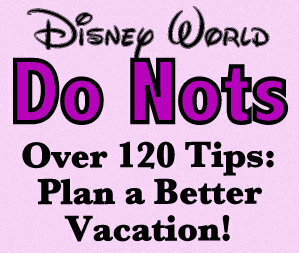 You can find all their numerical Disney trivia by using this Disney by the Numb3rs link. 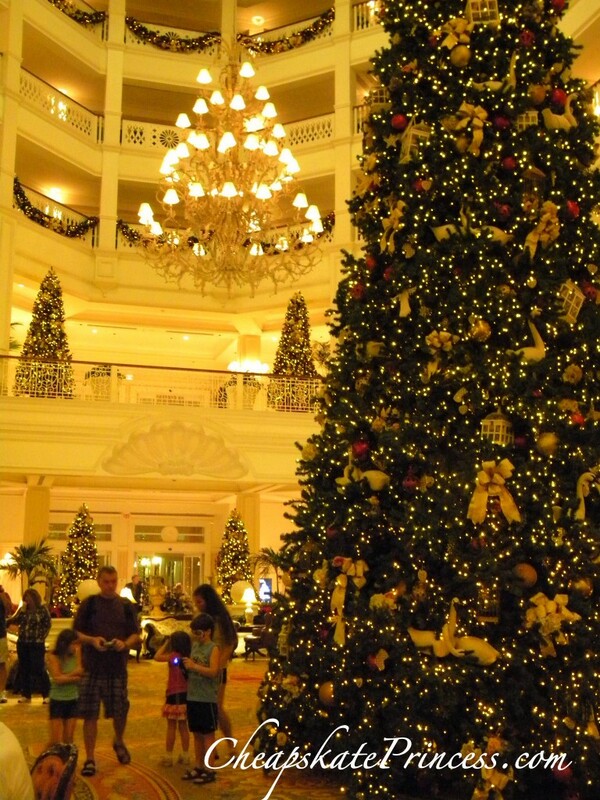 A 40 foot tree is erected in the Grand Floridian lobby with more than 45,000 lights, which is assembled in just one night. 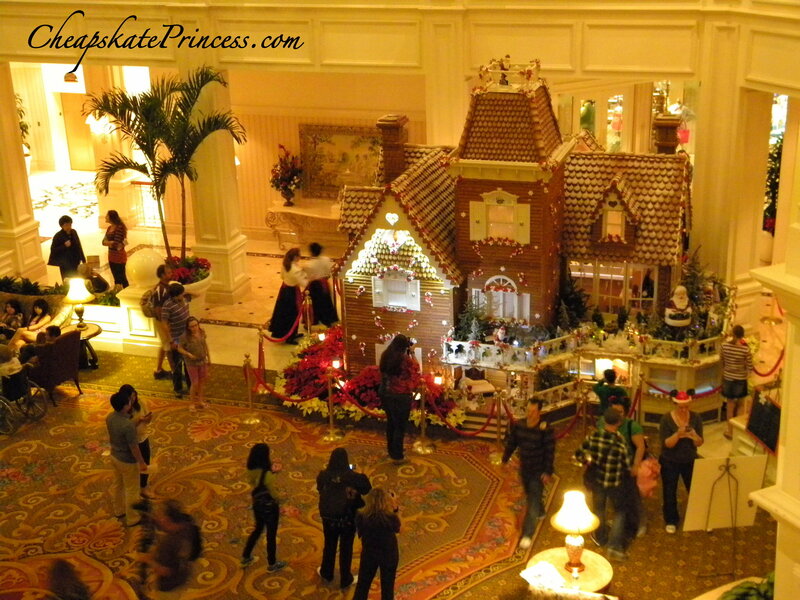 A 16 foot high by 17 foot wide gingerbread house is erected each year in the lobby of the Grand Floridian, which takes up 200 square feet of lobby space. It will take 10 men a total of 6 days will be used to create the gingerbread house. 60 sheets of plywood and 40 windows will be on the gingerbread house, with 1,000 board feet of trim. There will be a total of 40 window panes in the house. What kind of ingredients are used to create the gingerbread house? 400 hours of baking will be needed to make the 2,000 pounds gingerbread pieces. 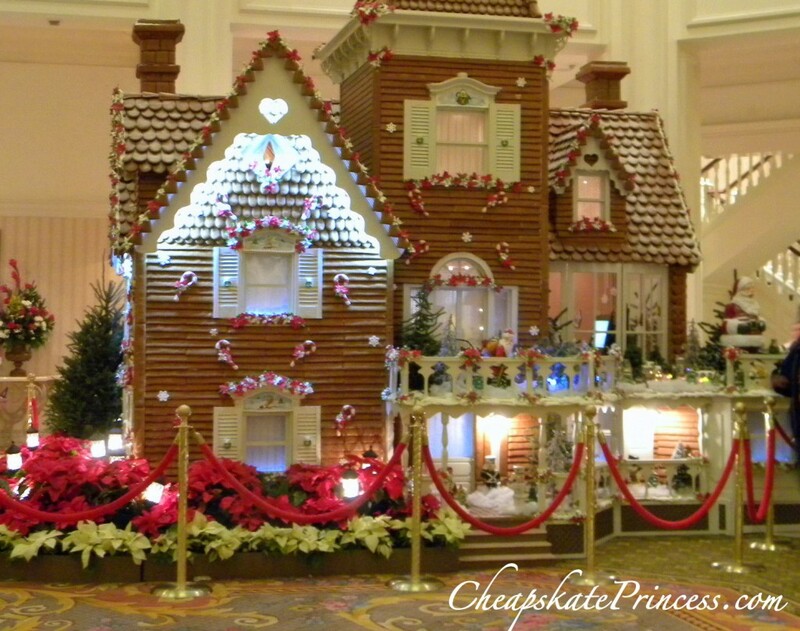 It will take 160 hours to decorate the house, because 10,000 pieces of gingerbread are needed to cover the house completely. 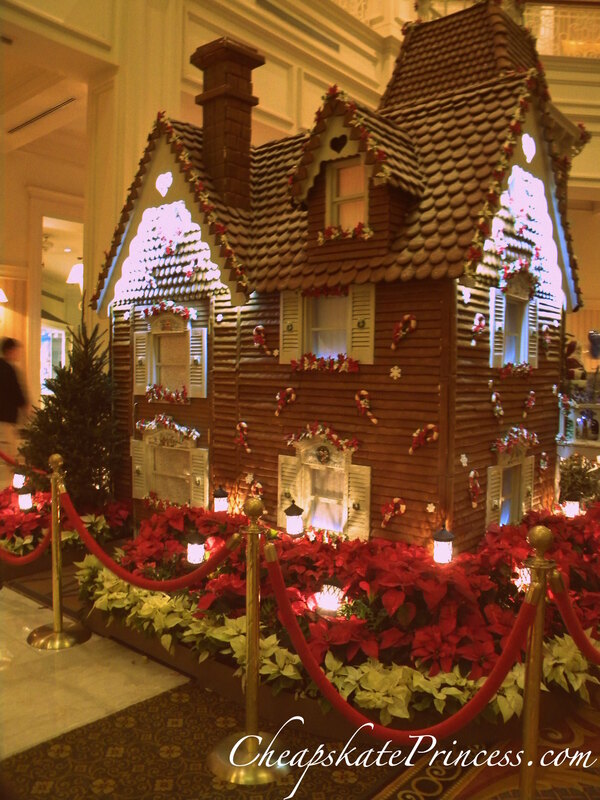 600 pounds of powdered sugar are used to dust the gingerbread house to make it look like snow. 140 pints of egg whites are used to create the royal icing, with a total of 500 pounds of this icing used to create the gingerbread house. 80 square feet of retail space is inside the gingerbread house, with 100 square feet of display area are available inside. 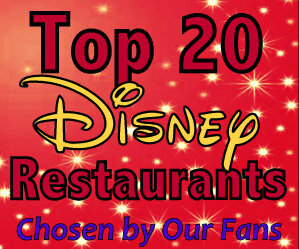 Thanks to our friends at Disney by the Numb3rs, and stop by their site for some fun Disney trivia. 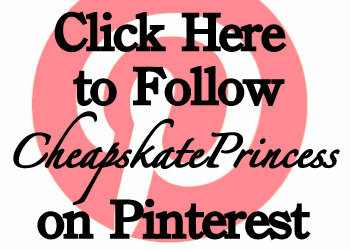 Tell ’em a Cheapskate Princess sent ya!